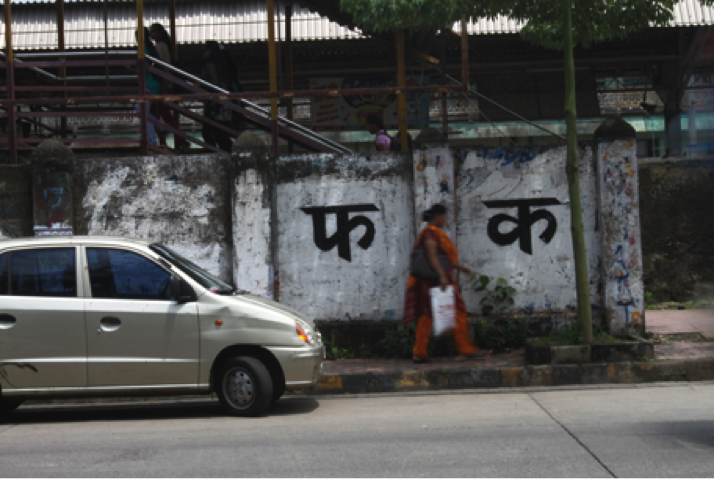 To the average Indian, the term graffiti may not elicit anything more than the scribbles on the coach of a local train or the declarations of ‘Raj loves Priya’ that they see at a monument. Sadly, this ensures that a lot of people tend to equate graffiti with vandalism. But there is more to it. 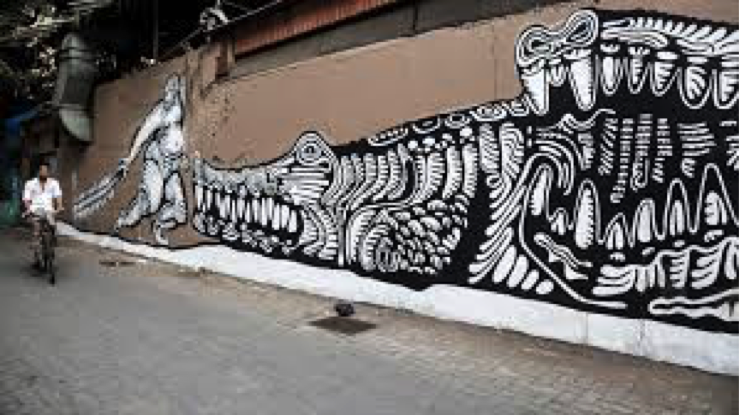 Graffiti throughout time has been regarded as an art form and has spawned several kinds of international artists who define the times with their own styles. 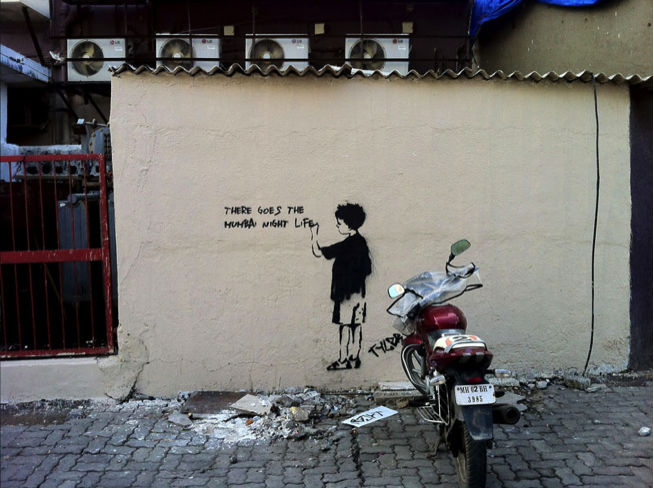 While names such as Banksy (based in Britain) are still globally known, the graffiti ‘scene’ in India and specifically, Mumbai is yet to properly take off. 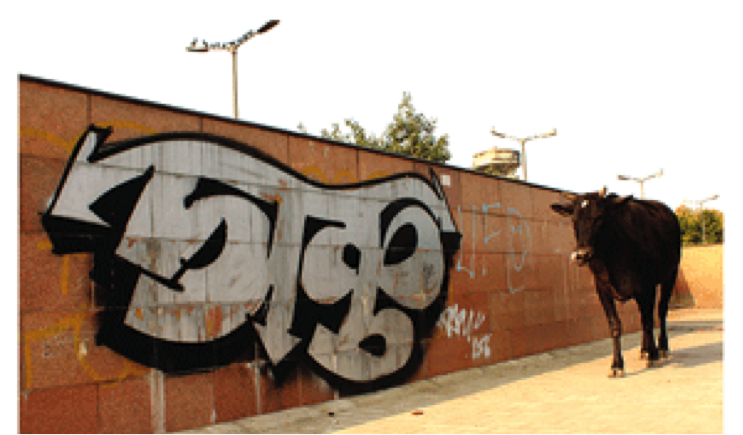 Here are a few cases of the first generation of Indian graffiti artists who aim to change this. Famed for his moniker, alluding the Tyler Durden, the iconic character from the movie ‘Fight Club’. Credited with being the country’s first ‘graffiti/street’ artist. Active since 2008, became known by stencilling his name in Devanagri across spots in Delhi. 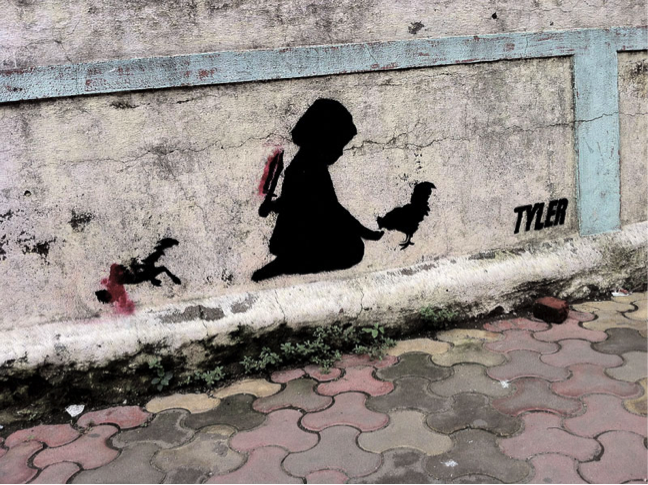 Shot to fame after his protests against the Vasant Dhoble moral policing in 2011 by stencilling f**k across various spots in Mumbai in Devanagri. 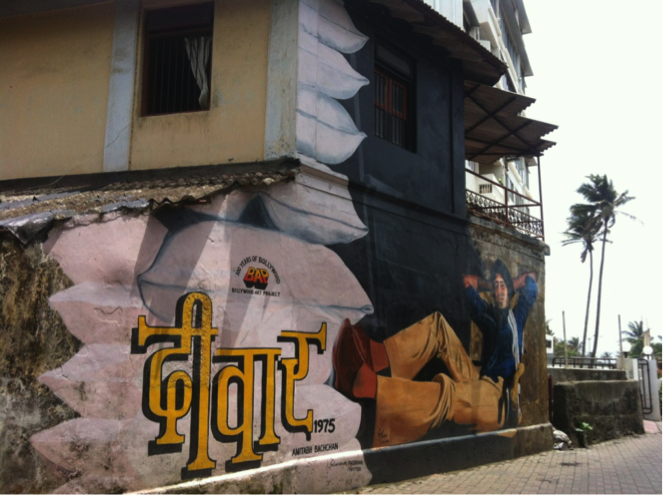 Started India’s first ever street-art festival called ‘St-Art’ . Currently the festival has chapters in Mumbai and Delhi, with the Mumbai edition having concluded in November last year. His style is provocative and laced with social commentary on various issues, having been active during the 2011 Anti-Corruption movement. An NID alum who works as a freelance designer in Mumbai. 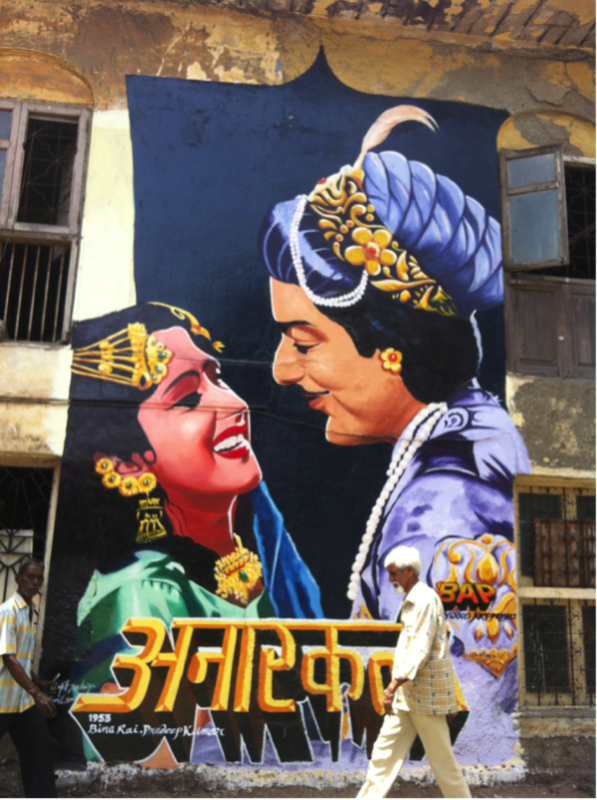 Co-helmed the Bollywood Art Project which has several installations in Bandra, Mumbai. A) What is the scene currently like? Just like any other city or state, permissions are an issue in India as well. Several artists complain of the presence of red tape and the persisting issue with their work being termed as ‘vandalism’. Currently only certain suburbs such as Bandra have had the best of exposure and results for these artists. However, with greater conflicts on mediums online and physical as well as a rise in the number of artists with a point of view to express, the scene only looks to get stronger with time. 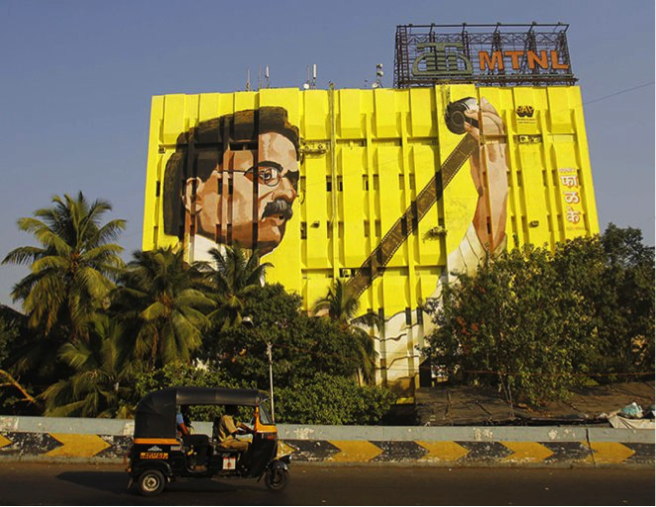 Initiatives like the Wall Project, a BMC approved endeavour that has illustrated walls of the entire length of Tulsi Pipe Road (Dadar to Bandra in Mumbai) seem to lead the way and legitimize the status of graffiti in India, one wall at a time.